One of the best ways to keep in touch is to use technology. You can easily keep in the loop of what’s going on with your friends through a group chat. You can have conversations, share advice, and even make plans all without leaving your child. You can also use technology to stay connected without necessarily communicating directly. Social media allows us to share information with our friends so that even if you haven’t spoken to an old friend in a while, they can stay in the loop no problem. When you are sharing information yourself, however, do refrain from posting photos of your children. This is for your child’s safety (make sure your profiles are set to private), and most importantly, for your child’s right to privacy. This is particularly true as they get older – ask permission before you share the photos online. Having private photos for you and your family is one thing, sharing those photos for everyone to see is another. If you can’t commit to a girl’s night or a long hangout, opt instead for a short one. This means a coffee run, a lunch break, or even just a class you and your friends take. See your closest friends regularly. Friendships are support systems, and your friends will be there with you for the ups and the downs – just make sure that your friendships don’t only turn into “downs”. Every so often you need to do something truly fun. Put aside the mom mantel for an evening and go to an event that you love. Organize a girl’s night with your friends, choose an event from Ticketsales.com, and go have fun! Your children will be fine with their dad or with another trusted adult for an evening. 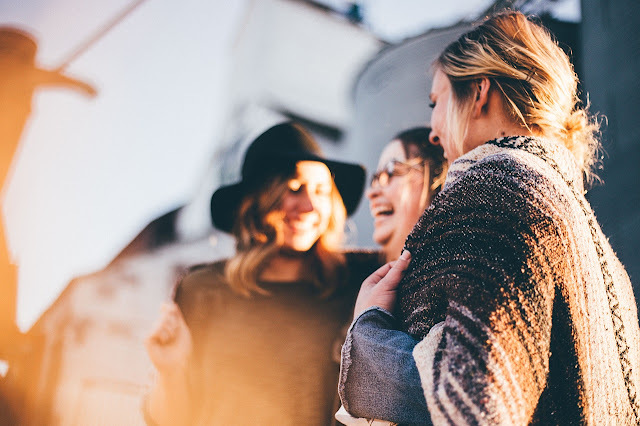 Before you can start to worry about ways to make time for your friends as a mom, however, you need to understand why it’s important to keep those connections – especially with the friends who aren’t parents. It might seem hard to connect with these friends after you have a kid, but that’s why they’re important. You aren’t just a parent, you are a person, too. You have interests, goals, and other hobbies outside of your children, and you need your childless friends to remind you of that.